If you’re not still feeling hung over from Art Week or feel like the city’s best art exhibitions are too hifalutin, step this way. 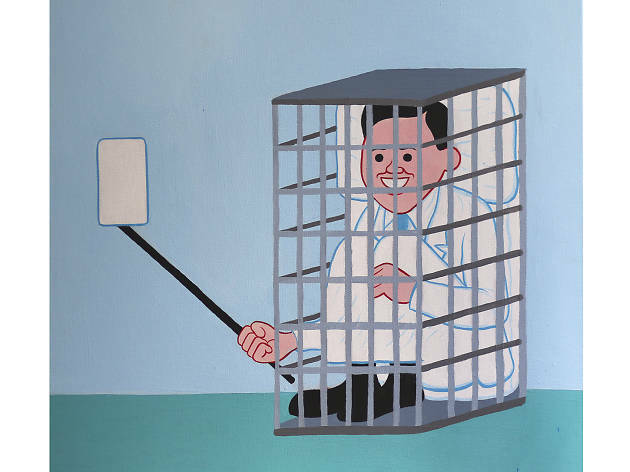 Joan Cornellà, one of the biggest illustrators in contemporary art right now, is back in town exhibiting a new show dedicated to his month-long stay in Hong Kong. The Spanish artist, whose work is particularly popular online, is well known for his disturbing yet hilarious comics strips and artworks. 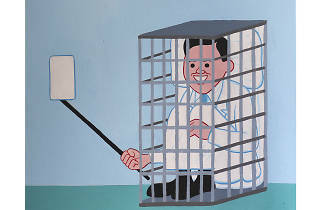 Following the popularity of his debut solo exhibition last year, Cornellà is presenting an entirely new show including never-before-seen works inspired by our metropolis, demonstrating his unique perspective on Hong Kong with plenty of satire and irony thrown in. Co-organised by Factotum Productions and Gallery 27, you can enjoy 38 new pieces of Cornellà’s art, as well as the chance to purchase limited edition prints and other merchandise. Held between May 6-21 at Space 27 in Quarry Bay, visitors need to buy tickets in advance to get into the show, which restricts date, time slot and the number of people. Time Out winners can skip all that hassle! 5 readers will win: A pair of tickets to Joan Cornellà’s solo exhibition at any time and date for one entrance, worth $60 (including transaction fee).